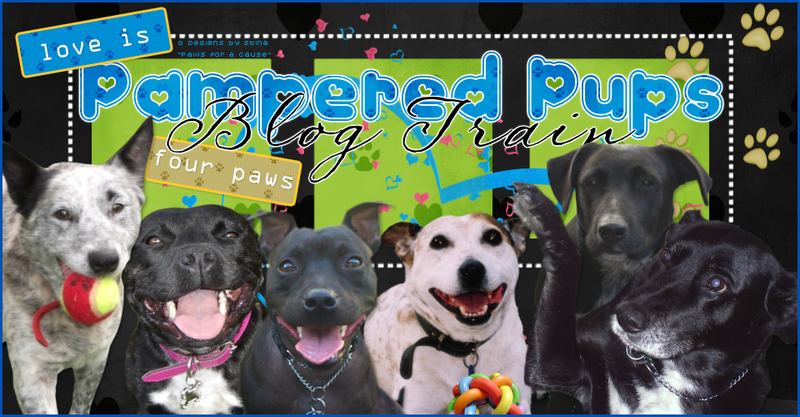 Pampered Pups Blog Train: Our Blog Train is BACK! After a year's hiatus, our blog train is BACK - bigger, better and cuter than ever! Formerly known as the Brat Pack, we have returned with a new name, new look and a new home. We are the Pampered Pups - in recognition of both Tootypup and myself and our love for our four-legged friends. So welcome aboard and stay tuned as we return in time for Halloween...and don't forget to bookmark us!